The construction work at the former Meulensteen Art Center has started and is now in full swing. The building is currently being redeveloped into the Meulensteen House of Robotics. The work in Eindhoven is going well. By now, the floor for the new façade is poured. By adjusting the façade, the multi-tenant building will get a new, modern look. The platforms in the spaces are ready as well. Each workshop on the ground floor will get its own mezzanine floor. This way the workshops gain lots of space for work and research. With the redevelopment, the building will also get a variety of central facilities. Amongst these facilities are a shared entrance, lunch space, bathrooms, meetings rooms and various flex workspaces. These shared facilities will help stimulate cooperation between tenants and create a tight community within the building. 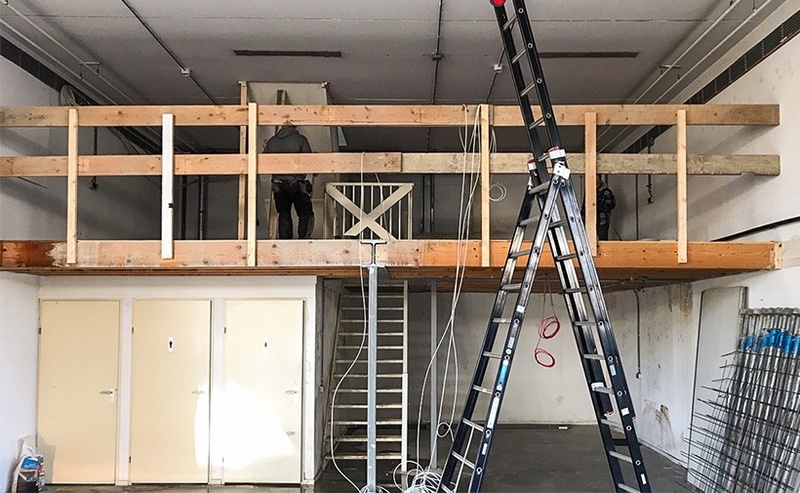 The House of Robotics will contain four workshops on the ground floor and one large workshop on the second floor when construction is finished. A couple of spaces are still available. For more information please contact Johan van Gerven, +31 (0)6 53582847 or j.gerven@kadans.com.